Organic Pink Grapefruit Essential Oil (Citrus Paradisi) - Sweetgrass&Rain Inc. The grapefruit tree was originally from Asia but it is now grown and harvested in the United States, France, Brazil and Israel. The grapefruit tree itself is a large tree about 10 meters (30 feet) tall, with glossy leaves, white flowers and large, pale yellow fruits with pink flesh. 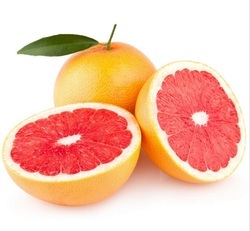 Grapefruit Pink has a fresh, sweet citrus smell that is very characteristic of the fruit.